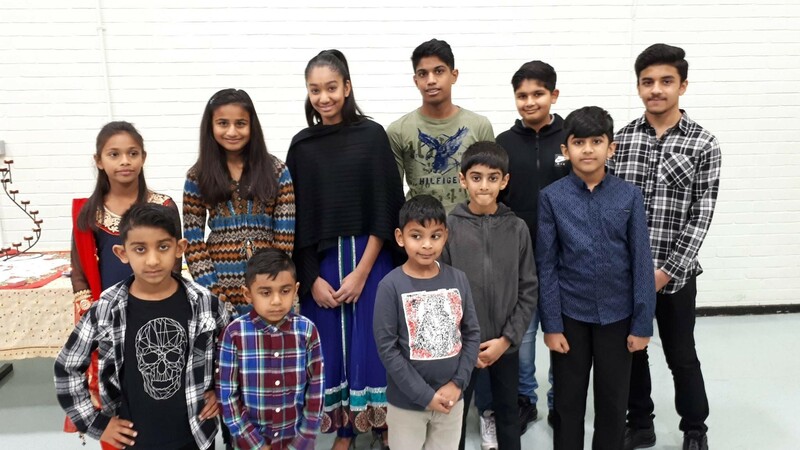 East Area Celebrates Diwali and New Year (in English) | Oshwal Association of the U.K.
Diwali and New Year celebration was held, at Cannon Palmer Academy, Seven King, Ilford Essex on the 9th November 2018, from 7.00pm to 10.00pm. The members started coming in time to the hall and met each other and conveyed new year greetings to each other. After mingling with each other the crowd sat down and the diwali programme started. Our hon. Chairman Mr Kishorebhai Lalji Haria, gave a speech, welcomed everyone, and wished a HAPPY NEW YEAR with good health to everyone. Aushi Hinesh Shah (11 years old) chanted the Navkar Mantra and then recited the Manglic. Lalitaben praised Aushi who said the Manglic in such a clear speech. Then Aushi told all about Diwali and why the four days are celebrated in Jainism. Also mentioned that the Diwali is celebrated as our Lord Mahavir attained nirvana on Diwali day and on new years day, Gautam swami gets the Kevalgyan. Then everyone are invited to a tasty meal of Jalebi, Ganthia, sambar, Channa Saak and puri. Everyone enjoyed the meal and were happy. The cost of the food was sponsored by Mr Ashwin Virpar Shah and many thanks to the family from OAUK. The second part started after the meal part and Avniben did the Raas Garba, Dandia and the Ramjanyu, which was interesting. Many members took part in the event with a good support of the general public and hope that they will always support at the monthly events.